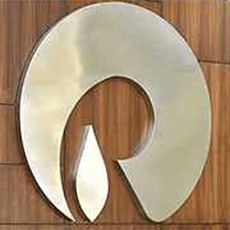 With Comptroller and Auditor General criticising its decisions on Reliance Industries Limited's KG-D6 block, the Oil Ministry has told a high-powered Parliamentary Committee that it was guided by DGH advice when it waived a key clause to allow the firm to retain the entire 7,645 sq km block beyond contractual deadlines. A committee headed by then Additional Secretary in the Oil Ministry, S Sundareshan, too upheld the DGH advice, the ministry said in a 140-page response to Public Accounts Committee headed by senior Bharatiya Janata Party leader Murli Manohar Joshi, that is scrutinising CAG report. "The Ministry relied on the technical input of DGH, the competent technical body appointed by Government for exploration and production operations," the ministry said in response to exhaustive questionnaire put by PAC. RIL is, however, "permitted to produce (oil or/and gas) from only a limited 'Development Area' decided at the time of approval of field development plan" and excess area will be relinquished, it said. While the CAG had criticised the decision to allow RIL to retain the entire block as violation of the contract, the ministry said RIL had 'carried out exploratory programme much more than what was committed' in the Phase-1 ending in 2004. RIL drilled 10 wells instead of its obligation to do only one and did 250 per cent more 3D seismic survey. While all the 10 wells were gas bearing, RIL spend $131.77 million up to March 31, 2003 against committed expenditure of $37 million. to be produced in commercial quantities. DGH which had in early 2004 asked RIL to relinquish 25 per cent of the area, asked RIL to do 3D seismic survey on the entire block to prove its point. Subsequently, the DGH-headed KG-D6 block oversight committee, where the ministry was not represented till late 2006, "on July 11, 2006 agreed with the opinion of the contractor that the prospective geological plays had continuity in the entire block, and hence no block area needed to be relinquished." "The government was not a member of Management Committee (that on July 11, 2006 declared the entire KG-D6 block as gas discovery area). Ministry came to be aware about the proposal when DGH informed the Ministry vide letter dated August 1, 2006," it said in response to the PAC. "The issue was examined in details vis-a-vis the PSC provisions and certain clarifications were sought from DGH. Since, it involved lot of technical inputs with respect to discovery area; the matter was deliberated in three additional secretary committee meetings. . . and based on the opinion of DGH, the technical arm of ministry, a considered view was taken to treat the whole contract area as discovery area, hence not requiring the contractor to relinquish any part of contract area," it said. The Comptroller and Auditor General had in its September report sharply criticised the ministry for not exercising adequate oversight and control over procurements done by RIL and allowing the private firm to retain the entire 7,645 sq km block in the Bay of Bengal in violation of the contract. The ministry said RIL would be allowed to produce gas only from the 'Development Area' determined in the Management Committee, where Ministry is also represented. "The balance Discovery Area in excess of delineated and approved Development Area will be relinquished."